Caught this little guy in the hall, just outside the kitchen. 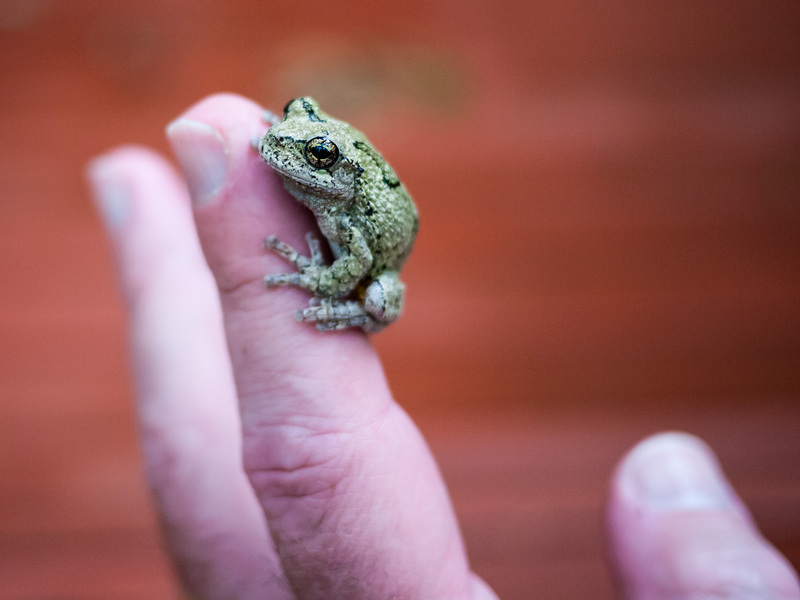 When I took him outside, he didn’t want to let go of my finger. We might be going steady.